The Public Research Centre Henri Tudor is an institute of applied research aimed at reinforcing the innovation capacity at organizations and companies and providing support for national policies and international recognition of Luxembourg’s scientific community. Its activities include applied and experimental research; doctoral research; the development of tools, methods, labels, certifications and standards; technological assistance; consulting and watch services; and knowledge and competency transfer. Its main technological domains are advanced materials, environmental, Healthcare, information and communication technologies as well as business organization and management. The Centre utilizes its competencies across a number of industries including Healthcare, industrial manufacturing, mobile, transportation and financial services among others. In 2012, the Centre Hospitalier de Luxembourg allowed Tudor to experiment with an access rights management system modeled using ArchiMate®, an Open Group standard. This model was tested by CRP Tudor to confirm the approach used by the hospital’s management to grant employees, nurses and doctors permission to access patient records. The Centre Hospitalier de Luxembourg is a public hospital that focuses on severe pathologies, medical and surgical emergencies and palliative care. The hospital also has an academic research arm. The hospital employs a staff of approximately 2,000, including physicians and specialized employees, medical specialists, nurses and administrative staff. On average the hospital performs more than 450,000 outpatient services, 30,000 inpatient services and more than 60,000 adult and pediatric emergency services, respectively, per year. Unlike many hospitals throughout the world, the Centre Hospitalier de Luxembourg is open and accessible 24 hours a day, seven days a week. Accessing patient records is required at the hospital at any time, no matter the time of day or weekend. In addition, the Grand Duchy of Luxembourg has a system where medical emergencies are allocated to one hospital each weekend across each of the country’s three regions. In other words, every two weeks, one hospital within a given region is responsible for all of the incoming medical emergencies on its assigned weekend, affecting patient volume and activity. As organizations have become not only increasingly global but also increasingly digital, access rights management has become a critical component of keeping institutional information secure so that it does not fall into the wrong hands. Managing access to internal information is a critical component of every company’s security strategy, but it is particularly important for organizations that deal with sensitive information about consumers, or in the case of the Centre Hospitalier de Luxembourg, patients. Modeling an access rights management system was important for the hospital for a number of reasons. First, European privacy laws dictate that only the people who require information regarding patient medical files should be allowed access to those files. Although privacy laws may restrict access to patient records, a rights management system must be flexible enough to grant access to the correct individuals when necessary. In the case of a hospital such as the Centre Hospitalier de Luxembourg, access to information may be critical for the life of the patient. For instance, if a patient was admitted to the emergency room, the emergency room physician will be able to better treat the patient if he or she can access the patient’s records, even if they are not the patient’s primary care physician. Admitting personnel may also need access to records at the time of admittance. Therefore, a successful access rights management system must combine a balance between restricting information and providing flexible access as necessary, giving the right access at the right time without placing an administrative burden on the doctors or staff. Prior to the experiment in which the Public Research Centre Henri Tudor tested this access rights management model, the Centre Hospitalier de Luxembourg had not experienced any problems in regard to its information sharing system. However, its access rights were still being managed by a primarily paper-based system. As part of the scope of the project, the hospital was also looking to become compliant with existing privacy laws. Developing an access rights management model was intended to close the gap within the hospital between restricting access to patient information overall and providing new rights, as necessary, to employees that would allow them to do their work without endangering patient lives. From a technical perspective, the access rights management system also needed not only to work in conjunction with existing applications, such as the ERP system, used within the hospital but also support rights management at the business layer. Most current access rights managements systems provide information access to individuals based on a combination of the functional requirements necessary for employees to do their jobs and governance rights, which provide the protections that will keep the organization and its information safe and secure. What many existing models have failed to take into account is that most access control models and rights engineering methods don’t adequately represent both sides of this equation. As such, determining the correct level of access for different employees within organizations can be difficult. Within the Centre Hospitalier de Luxembourg, employee access rights were defined based on individual job responsibilities and job descriptions. To best determine how to grant access rights across an hospital, the Public Research Centre Henri Tudor needed to create a system that could take these responsibilities into account, rather than just rely on functional or governance requirements. To create an access rights management model that would work with the hospital’s existing processes and ERP software, the Public Research Centre Henri Tudor first needed to come up with a way to model responsibility requirements instead of just functional or governance requirements. According to Christophe Feltus, Research Engineer at the Public Research Centre, defining a new approach based on actor or employee responsibilities was the first step in creating a new model for the hospital. Although existing architecture modeling languages provide views for many different types of stakeholders within organizations—from executives to IT and project managers—no modeling language had previously been used to develop a view dedicated to access rights management, Feltus says. As such, that view needed to be created and modeled anew for this project. To develop this new view, the Public Research Centre needed to find an architecture modeling language that was flexible enough to accommodate such an extension. After evaluating three separate modeling languages, they chose ArchiMate®, an Open Group Standard and open and independent modeling language, to help them visualize the relationships among the hospital’s various employees in an unambiguous way. Much like architectural drawings are used in building architecture to describe the various aspects of construction and building use, ArchiMate provides a common language for describing how to construct business processes, organizational structures, information flows, IT systems and technical infrastructures. By providing a common language and visual representation of systems, ArchiMate helps stakeholders within organizations design, assess and communicate how decisions and changes within business domains will affect the organization. According to Feltus, Archimate provided a well-formalized language for the Public Research Centre to portray the architecture needed to model the access rights management system they wanted to propose for Centre Hospitalier. Because ArchiMate is a flexible and open language, it also provided an extension mechanism that could accommodate the responsibility modeling language (ReMMo) that the engineering team had developed for the hospital. In addition to providing the tools and extensions necessary for the engineering team to properly model the hospital’s access rights system, the Public Research Centre also chose ArchiMate because it is an open and vendor-neutral modeling language. As a publically funded institution, it was important that the Public Research Centre avoided using vendor-specific tools that would lock them in to a potentially costly cycle of constant version upgrades. “What was very interesting [about ArchiMate] was that it was an open and independent solution. This is very important for us. As a public company, it’s preferable not to use private solutions. This was something very important,” said Feltus. Feltus notes that using ArchiMate to model the access rights project was also a relatively easy and intuitive process. “It was rather easy,” Feltus said. “The concepts are clear and recommendations are well done, so it was easy to explore the framework.” The most challenging part of the project was selecting which extension mechanism would best portray the design and model they wanted to use. After developing the access rights model using ArchiMate, the responsibility metamodel was presented to the hospital’s IT staff by the Public Research Centre Henri Tudor. The Public Research Centre team believes that the responsibility model created using ArchiMate allows for better alignment between the hospital’s business processes defined at the business layer with their IT applications being run at the application layer. The team also believes the model could both enhance provisioning of access rights to employees and improve the hospital’s performance. For example, using the proposed responsibility model, the team found that some employees in the reception department had been assigned more permissions than they required in practice. Comparing the research findings with the reality on the ground at the hospital has shown the Public Research Centre team that ArchiMate is an effective tool for modeling and determining both responsibilities and access rights within organizations. Due to the ease of use and success the Public Research Centre Henri Tudor experienced in using ArchiMate to create the responsibility model and the access rights management system for the hospital, Tudor also intends to continue to use ArchiMate for other public and private research projects as appropriate. 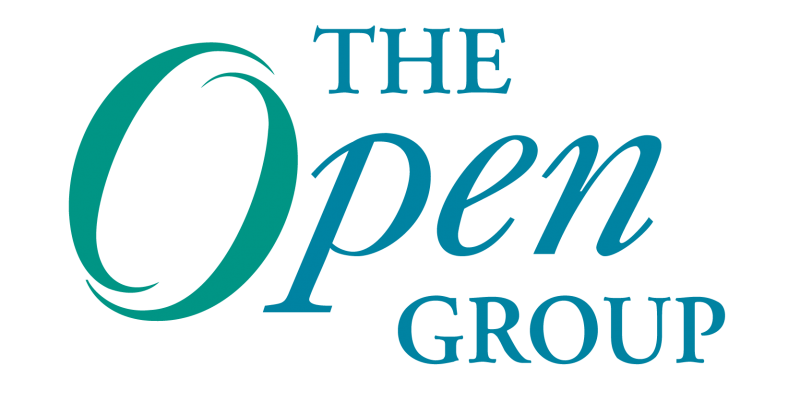 Follow The Open Group @theopengroup, #ogchat and / or let us know your thoughts on the blog here. The way those two sentences are written (using “tool” instead of “language”) makes me think that they in fact describe both usage of ArchiMate (metamodel) and Archi (open, extensible, vendore-neutral modelling tool). Do you have more insight on this, is there a way to know if they use Archi (if yes, this could be also seen as good reference) ? Is there any possibility of seeing some of the output from this work? Obviously the full model would be fantastic, but of course there may be confidentiality difficulties with that, so would it be possible for the extension meta-model to be shared?